Founded in 1896, the Merkur brand is the mark of quality in the wet shaving industry. 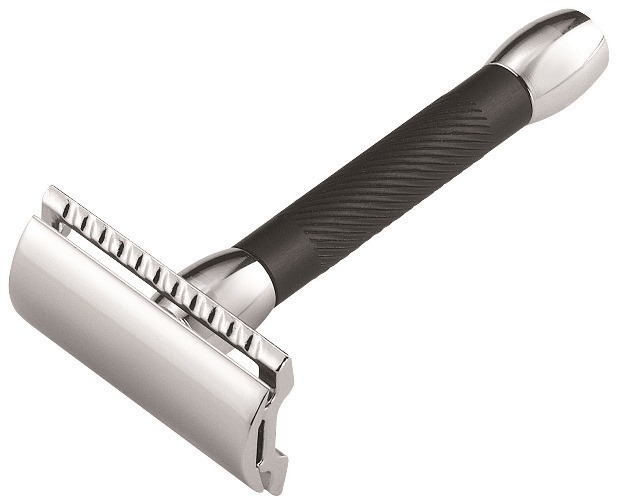 This beauty is a modern interpretation of the classic style double edge razor. A sleek black non-slip handle, paired with a great feel in your hand. Sturdy, but not heavy. The safety bar keeps the blade away from your skin, yet close enough to get a smooth, close, comfortable shave..